When it comes to the French Open, there is Rafael Nadal and then there is everybody else. Rafael Nadal was the clear favourite to win the French Open before the tournament got underway a few weeks ago, and he has been every bit as good as advertised, as he has stampeded his way to the finals. Standing between Nadal and yet another title on his mantlepiece will be Stan Wawrinka, who managed to get past Andy Murray in five sets to advance to the finals. Nadal, on the other hand, breezed by Dominic Thiem, and you would have to think that Nadal will be much more rested than Wawrinka heading into the finals. Nadal has won the French Open title an eye-popping nine times, with his most recent victory coming in 2014. Nadal has been battling injuries over the past couple of years, though he has returned to form this season, as he is currently the #4 ranked player in the world and on the rise. Wawrinka, on the other hand, will be looking to win the French Open for the second time in his life, with his first victory coming in 2015. While Wawrinka is obviously a very talented player, Nadal's game is perfectly suited to the clay courts of Roland Garros, as he is quick, durable and extremely accurate. 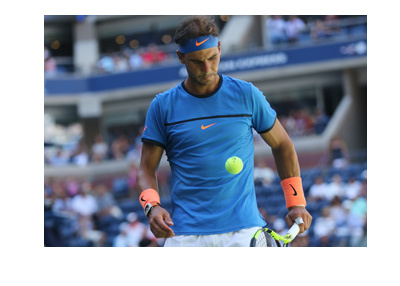 If this turns into a long match, Nadal will have the conditioning advantage, especially given Wawrinka's epic battle against Andy Murray in the semi-finals. There is absolutely no reason to think that Nadal will drop this match, let alone a set. Nadal has been rampaging his way through the French Open, and securing his tenth title at Roland Garros seems to be his destiny. Can Wawrinka stop Nadal? Don't bet on it.